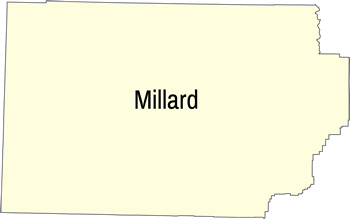 Millard County is named after U.S. President Millard Fillmore as is the county seat, Fillmore. 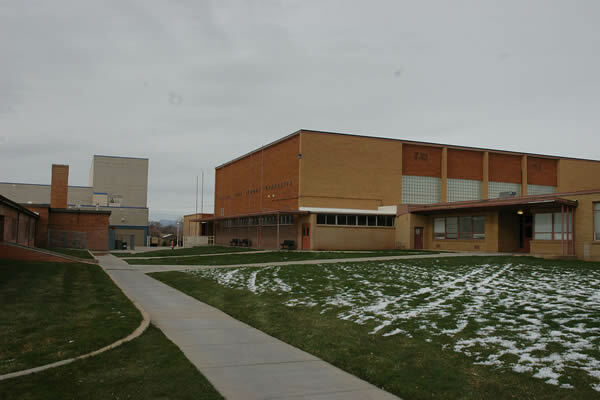 This county has had its place in Utah history as the intended Capitol of the state. 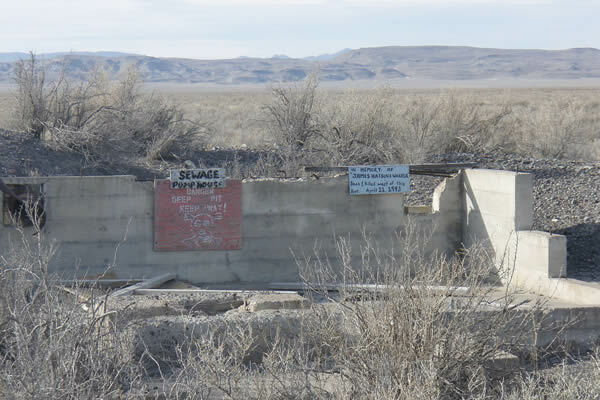 Visitors can still visit one wing of what was going to be the capitol. 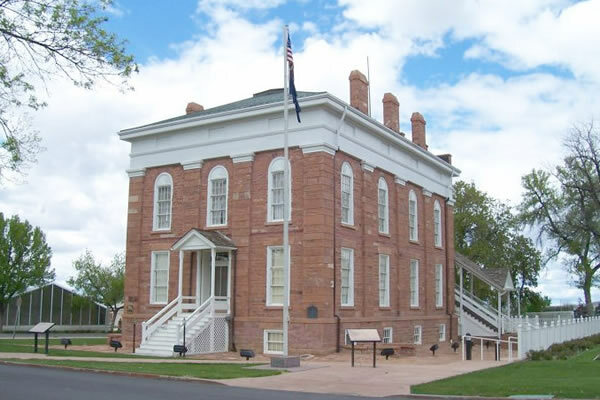 The Territorial Statehouse is the oldest government building in Utah. It was used only twice by the territorial legislatures in 1855 and 1856. 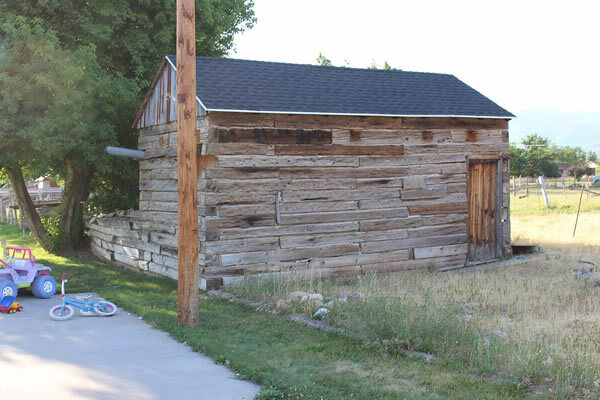 The legislature decided to move the capitol back to Salt Lake City when the legislature could not find enough places to stay in Fillmore during the 1856 session. 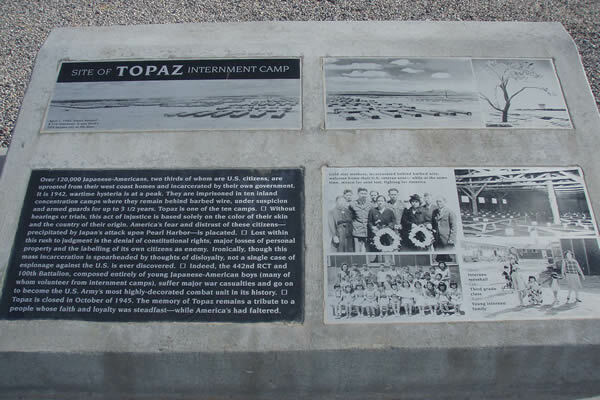 During World War II, the Topaz Internment Camp near Delta, Utah was set-up in this area bringing over 8,000 Japanese American residents to the county. While driving in Millard County be sure to look for the many volcanoes. 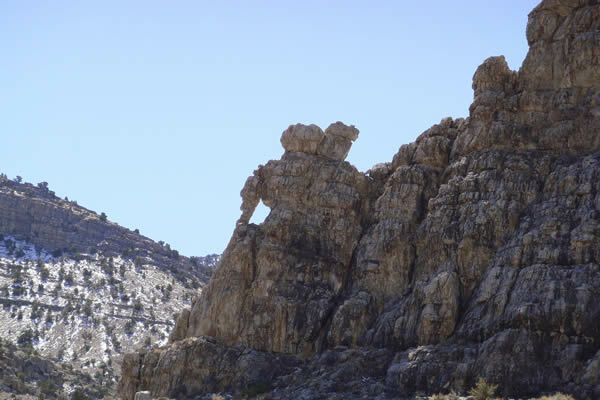 Since these cone shaped volcanoes are not active, visitors can go up close to them, climb on them, and see many hardened lava flows that came directly from them. Also, one can visit Cove Fort, built out of lava rocks, in the area. 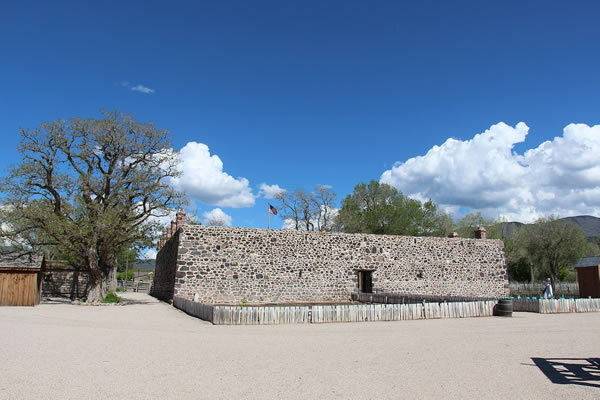 It has been restored to represent what a fort on the early frontier may have looked like. 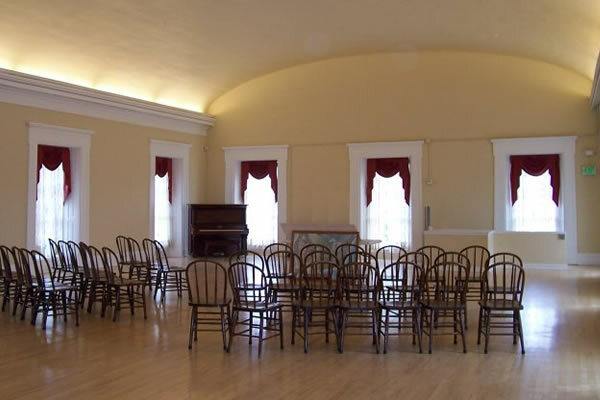 Territorial Statehouse in Fillmore, Utah. 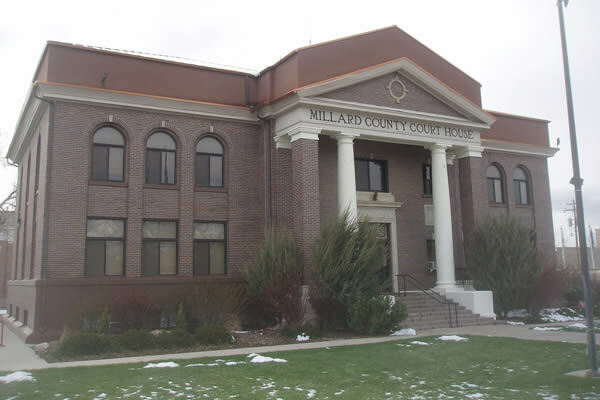 The former Millard County Courthouse, a historic building in Fillmore, Utah. 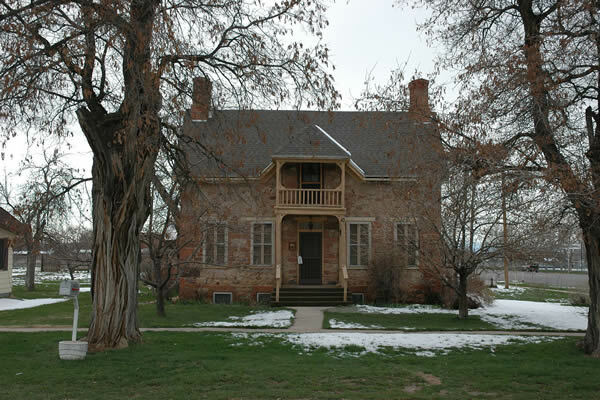 The Edward and Elizabeth Partridge House, a historic home in Fillmore, Utah. 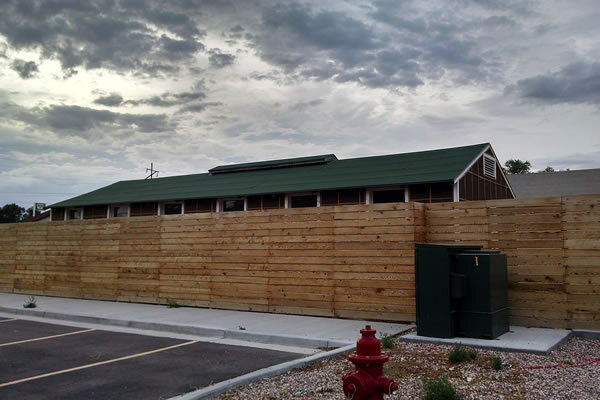 An apiary (a place where bees are kept) in Fillmore, Utah. 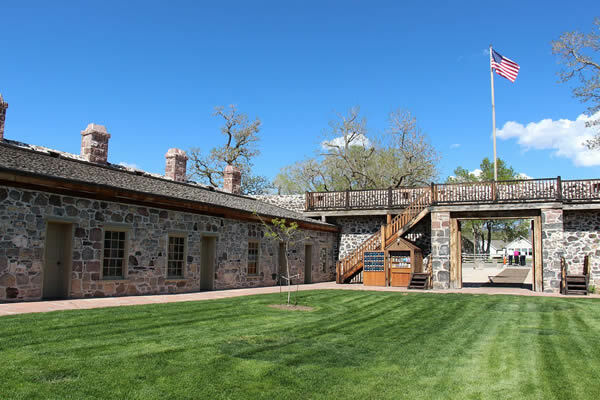 Cove Fort Historic Site in Kanosh, Utah. Rear of Cove Fort Historic Site with gardens. 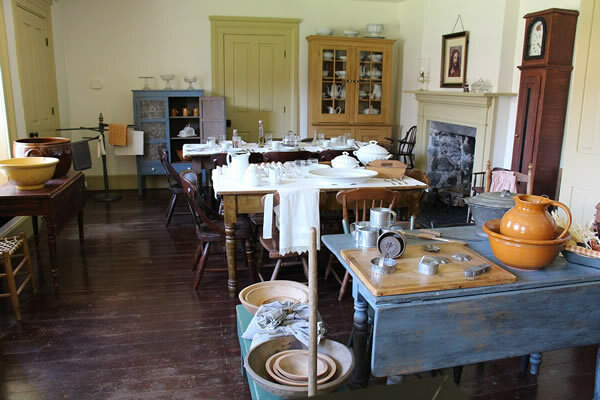 Dining room of Cove Fort Historic Site in Kanosh, Utah. 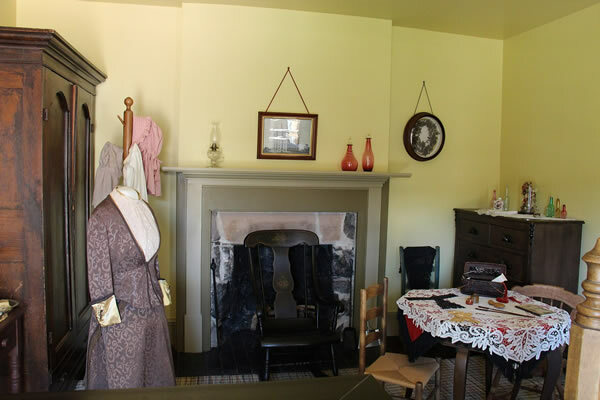 Main bedroom of Cove Fort Historic Site in Kanosh, Utah. 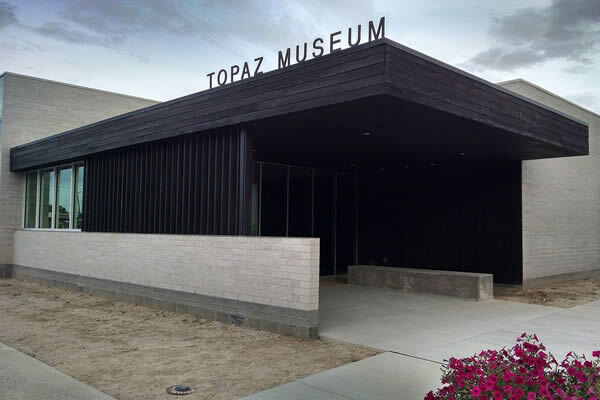 Topaz Museum in Delta, Utah. 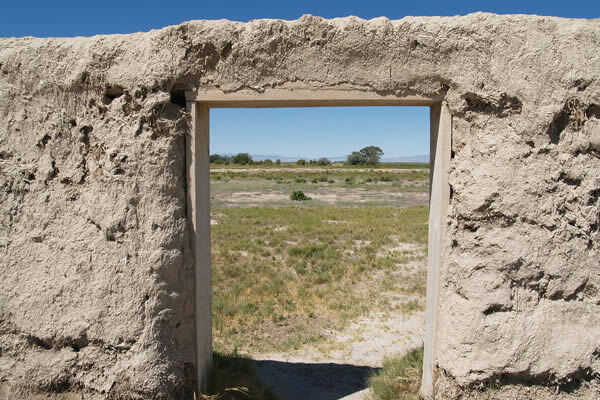 A photo of Fort Deseret in Delta, Utah. 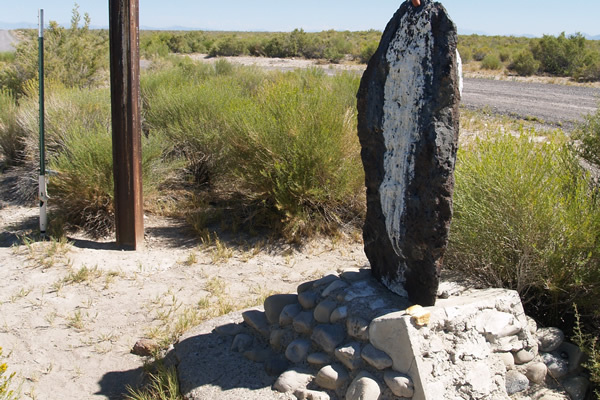 A photo of the small markers at the Gunnison Massacre site. 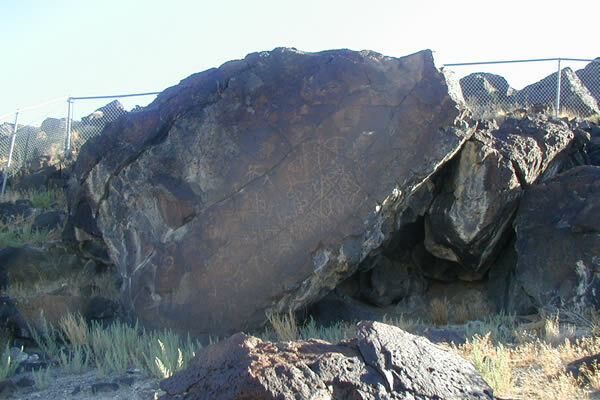 Petroglyphs found near the Great Stone Face near Delta, Utah.